Urth Uneek Worsted is nothing but a fun time in a skein of yarn. 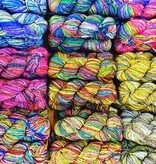 This extrafine merino yarn works into a self striping gradient fabric that will wow the crowds. A great yarn option for smaller accessory projects such as hats, cowls and mittens. 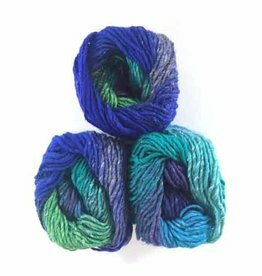 This worsted weight plied yarn is machine washable making it a nice choice to use for toddler sweaters that will pop with colorful striping fun. 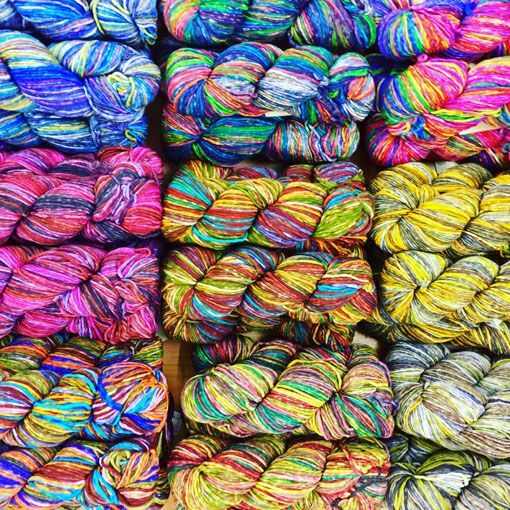 Noro Silk Garden is a classic Noro yarn base with a little bit of glamour because of the fiber blend of silk, mohair and wool.